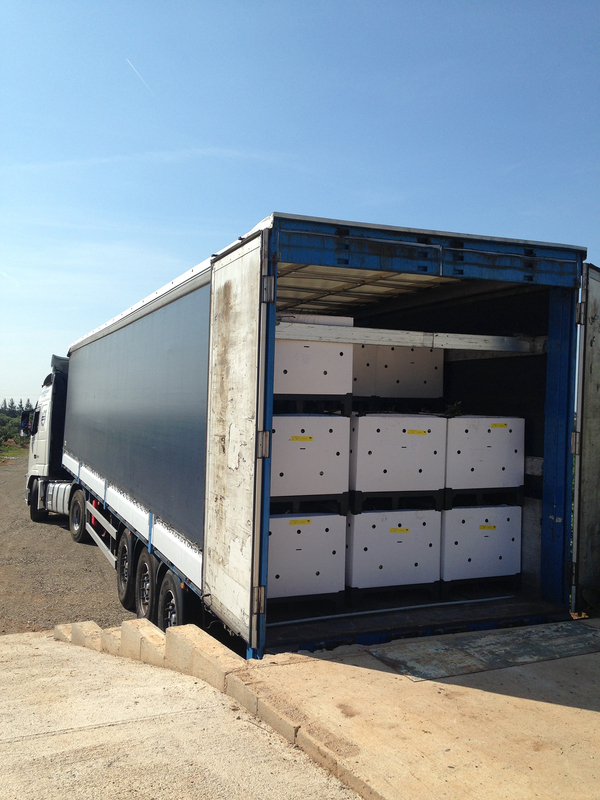 Pallets with boxes of polyethylene. Capacity of a 1000 produced rooted cuttings in paper pots per box. Pallets with open cardboard boxes. (50x15x30cm/box). 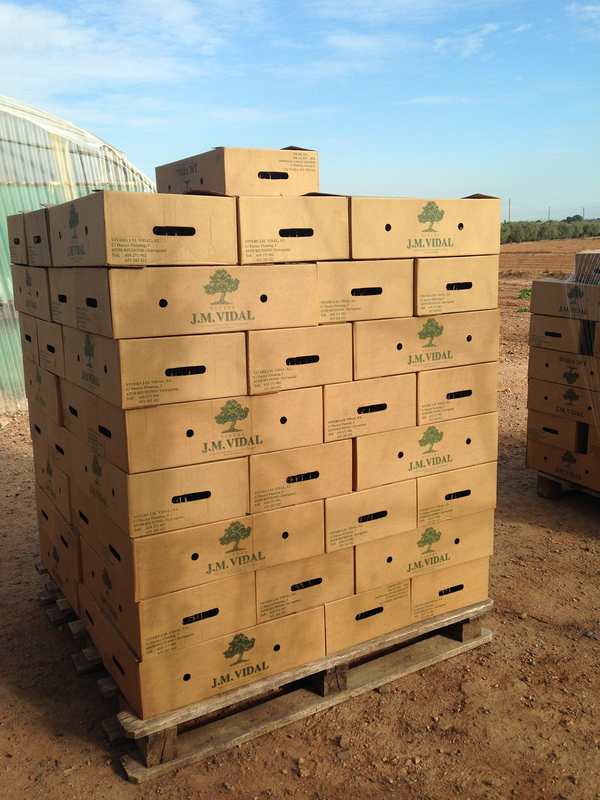 Each box contains a tray of 204 rooted cuttings. 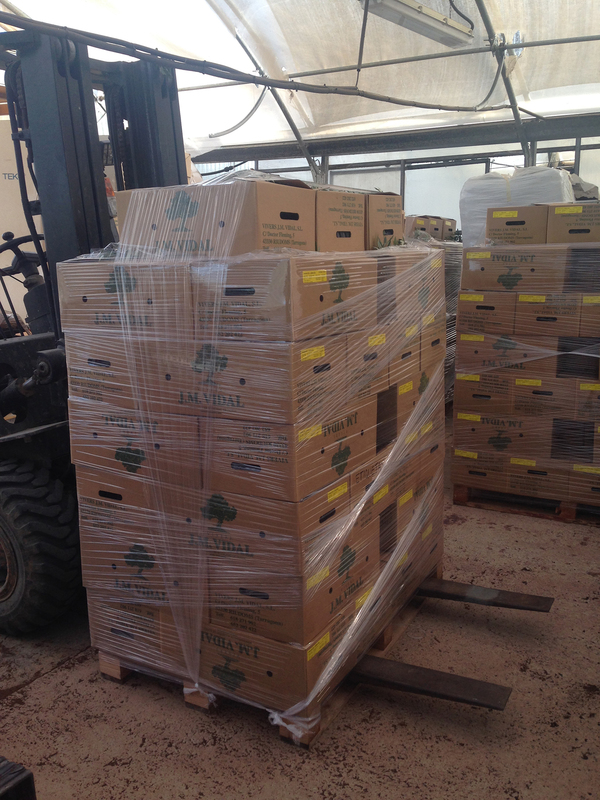 Pallets with open cardboard boxes. (50x15x30cm/box). 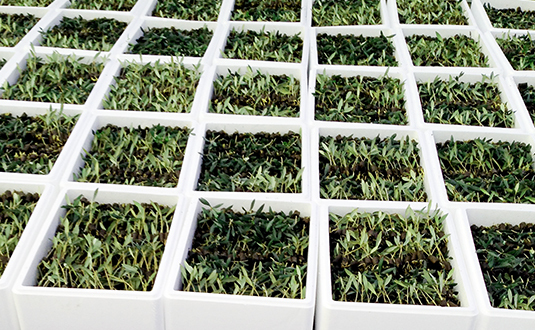 Each box contains a tray of 104 rooted cuttings and a 5cm sprout. 30-40cm plants with 7x7x8cm pots: 500 plants per Ecobox. 50-60cm plants with 9x9x10cm pots: 250 plants per Ecobox. When it comes to small amounts, the plants trees travel stretched in cardboard boxes that measure: 80x40x56cm or 52x40x32cm.